There is considerable evidence supporting the view that training provided to businesses that encouraging positive mental health and a positive outlook on life helps create a better working environment. Recent data collated by Coyne Research found that only 34 per cent of 1,000 adult Irish employees believe that employers value their health and wellbeing. The research also indicates that less than a third (32 per cent) of employees would call in sick because of due to a mental health issue, despite 36 per cent admitting that a mental health issue had affected their work ethic at some point. Philip McTaggart, of MindSkills training and coaching says: “In today’s world, everything is so fast and furious that sometimes we don’t see what is right in front of our eyes. Mental health and personal resilience is receiving increasing attention because the negative impact is devastating individuals, families, businesses and communities. “Poor mental health affects at least one in five people, its detrimental impact manifesting itself at times within the workplace. Absence from work due to health-related issues is a major cost to business today. The Organisation for Economic Co-operation and Development (OECD) estimates that ‘mental ill-health is the biggest single cause of sickness absence and health related productivity losses in UK organisations – estimated at a cost of £70 billion per year’ (January 2014). There are currently no equivalent figures for Ireland. Since 2003, McTaggart has been working in the area of mental health and suicide prevention. He has been fully dedicated to creating awareness in businesses and communities about mental health and the causes and repercussions of suicide. His aim has been to break down barriers and promote positive mental health, encouraging people to overcome the stigma that prevents vital help-seeking. McTaggart explains that in OECD countries, mental illness is culpable for between one-third and one-half of all long-term sickness among the working-age population. Indeed, in Britain for instance, work related stress costs 10.4 million working days per year. “Various factors in the workplace can cause stress or increase the risk of developing or worsening existing mental health problems. Events such as a bereavement, a relationship breakdown, or financial problems, too, can exacerbate any mental health issues, as well as giving rise to them,” he adds. In the estimation of the mental health charity Mind, ‘one in five employees have called in sick due to stress, but 90 per cent did not feel able to tell their boss the real reason (2013)’. McTaggart says: “For work colleagues and friends, it is often the fear of aggravating things that prevents intervention – people are afraid to say or do the wrong thing. People who do recognise the signs of failing mental health may ignore them, simply due to the stigma attached to suicide and mental health issues. Stigma is still a big problem. It stops us getting help when we need it, those phrases ‘pull yourself together’, ‘you are making a fuss about nothing’ and ‘don’t be talking like that’ can get in the way of us recognising we have an illness and getting treatment for it. So why would any business invest in mental health training when budgets are being cut and paying customers are shopping around for better deals? McTaggart lists some of the reported benefits of supporting mental health in the workplace as increased productivity and motivation, reduced absenteeism, lower staff turnover and increased staff loyalty. Philip has been delivering suicide prevention and positive mental health training in his own unique way for fourteen years and is the founder of PIPS (Public Initiative for the Prevention of Suicide and Self-harm, named after his young son Philip-pip). 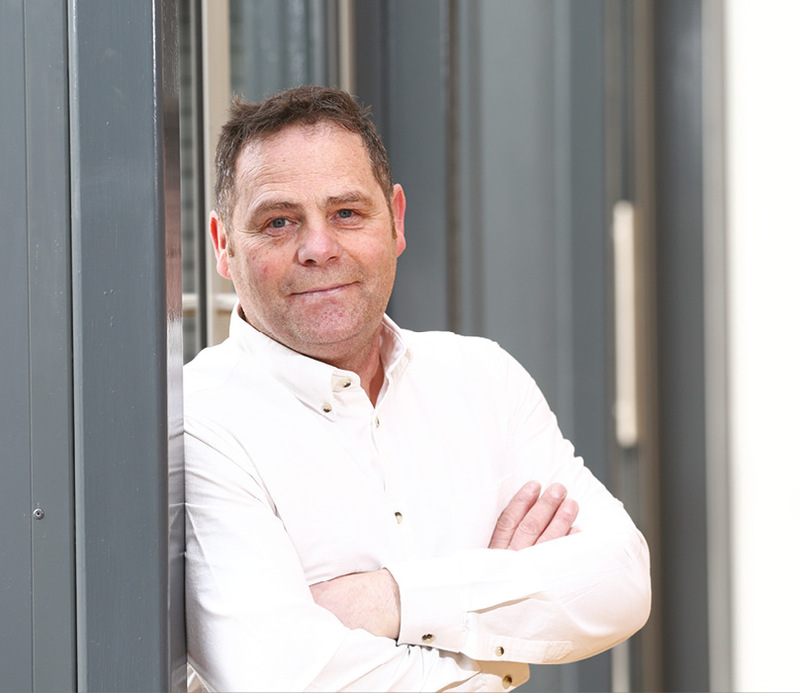 Galvanising others around him, he has established two dedicated prevention centres in north Belfast, he is also a personal and business life coach and accredited trainer. 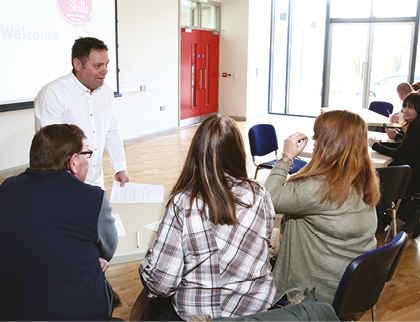 Philip has provided professional training to various types of organisations, including schools, youth and community centres, church groups, local businesses, MLAs and government agencies, through his MindSkills training programmes.